Cardinal Syn (Sony PlayStation, 1998) PS1 Fighting Game Complete FREE SHIPPING! 4 out of 5 stars - Cardinal Syn (Sony PlayStation, 1998) PS1 Fighting Game Complete FREE SHIPPING! 7 product ratings7 product ratings - Cardinal Syn (Sony PlayStation, 1998) PS1 Fighting Game Complete FREE SHIPPING! Capcom Fighting Evolution Xbox BRAND NEW SEALED - NTSC. Condition is New. Dispatched with Royal Mail 1st Class Large Letter. We are a team of nine based in a 2,500 sq/ft unit in a gated industrial park in South Manchester, UK. Region Locked: import adaptor or USA/mod console required - no box or instructions. Product Summary. News Flash! Building-sized monsters are duking it out in the middle of the city! Seaports are being totally obliterated! The population is fleeing! There's destruction on a massive scale! And there's still two minutes left in the round! In full working order. The label on the back is also a lighter colour then they usually are. The box is in good overall condition. We are a team of nine based in a 2,500 sq/ft unit in a gated industrial park in South Manchester, UK. Every third match is a Grudge Match where players test the skills of each other. The last man standing is the winner of this three-knockdown match. Many more Nintendo DS bargains for sale. Find Out What Happens Next – Uncover the rest of Peter Parker's untold story in the all-new epilogue story to the Columbia Pictures' 2012 blockbuster theatrical release. FINAL FIGHT 3 - SNES. Platform: Super Nintendo. Instructions are photocopies and stapled together by the looks of it (consider it as sold with no instructions). For sale doomsday warrior snes game American version. Acceptable condition includes instructions. Box shows small amount of wear and tear from age. Please look carefully at pictures as they form part of the description. I will only post within the UK. Buyer pays £2.95 post and packing. If you are interested in retro computer games please look at my other items. Featuring four all-new fighters and 16 challengers in total! New moves with improved animation. Each of them possess a lethal combination of martial arts skills that they believe can destroy M. Bison. This is a Rare'Battle Arena Toshinden Remix' for theNTSC USA Sega Saturn. Consisting of The Instruction Manual is sadly missing. Manual is sadly missing. In Japan'. The outer box is present and also. The front label is printed with 'Capcom' and 'Made In Japan'. The back label is printed with '1991. 'World Warrior', 'Champion Edition', 'Turbo Hyper Fighting', 'Super' & 'Super Turbo'. So you could have 'World Warrior Guile' fight off against 'Super Turbo Ryu' for example. However, be warned that it is censored in places such as 'Chun Li's shower scene' aswell as other places. 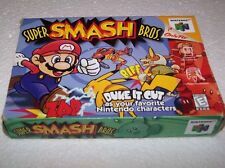 Wade Hixton's Counter Punch Nintendo Gameboy Advance (2001 Nintendo GBA). Condition is Good. this excellent punch out clone is getting tougher and tougher to find, particularly the European version. 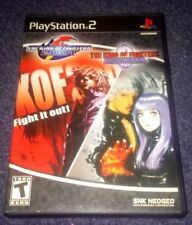 An excellent arcade style fighting game that deserves a home in your collection. i will include a shark protector case with this to protect it in the post. Dispatched with Royal Mail 1st Class Large Letter. PS1 Sony Playstation 1 Star Gladiator episode: 1 Final Crusade boxed. Condition is Good. Dispatched with Royal Mail 2nd Class. Minimal wear and tear all round. 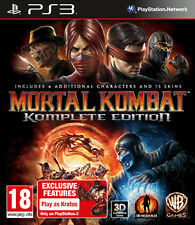 Mortal Kombat : Deadly Alliance For Playstation 2. NTSC "U/C Version" (Will Not Play On UK PAL Console). This is a Desirable ' Dead or Alive 2 Harcore ' for theNTSC USA Playstation 2. 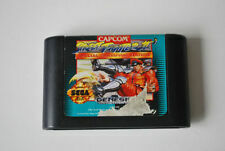 For sale fatal fury snes game. American version. Boxed includes instructions. Box and manual show some wear and tear from age. Please look carefully at pictures as they form part of the description. I will only post within the UK. Buyer pays £2.95 post and packing. If you are interested in retro computer games please look at my other items. Shonen Jump Naruto 2: Clash Of Ninja. Naruto, Sasuke, Sakura and the other ninja-in training are going beyond the classroom now and must face each other and challenging new opponents in multi-ninja battles. 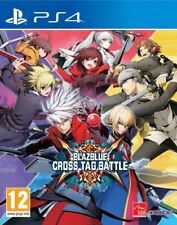 Tatsunoko Vs Capcom: Ultimate All Stars (Nintendo Wii) "Fighter Game"
Consisting of In Japan'. The outer box is present and. The front label is printed with 'CAPCOM USA' and 'Made In Japan'. The back label is printed with '1991 Nintendo Made. Consisting of SNES Console and is fully working. The front label is in good shape and is printed with 'Bandai' and 'Made In Japan'. The back label is printed with '1991 Nintendo Made In. Sega Genesis. Tested and working. Complete with manual. Case has a couple of dents on reverse. Sega Genesis:Onslaught. It also has the hang tab on the back. The sticker was added and they were sold at a reduced price. New Sealed: Factory sealed and never opened. Mint: Perfect condition, looks unused. 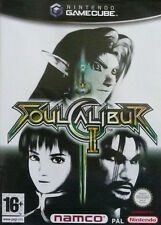 Soul Fighter for the Sega Dreamcast, NTSC American version. All complete in very good condition. 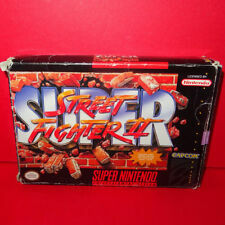 Super Nintendo Pit Fighter. In good and working condition. Dispatched within 48 hours. There is no manual sorry. Consisting of its age with a little wear as shown. The Instruction. The case is printed with 'CAPCOM, Inc.' and 'Made in Japan'. The outer case is in good condition considering. Penny-Punching Princess for Nintendo Switch (New).